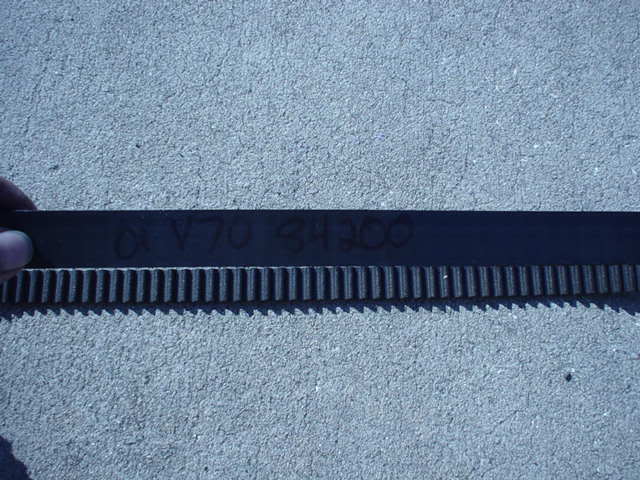 I am writing this post because there has kind of been a little debate lately about timing belts and the service intervals. 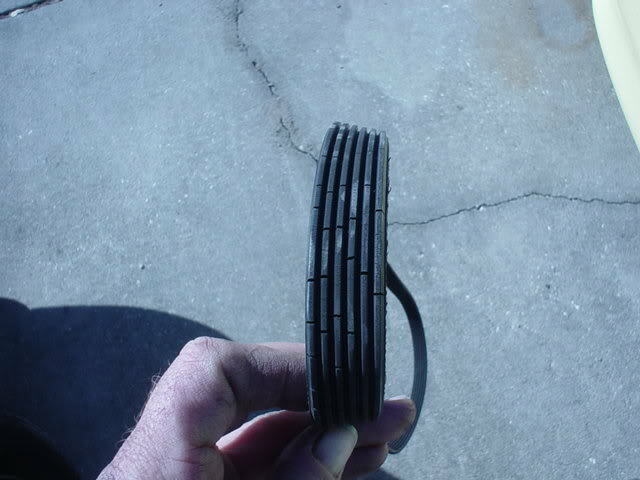 [/align]The post is to show why the timing belt should really be changed at about 70,000 miles instead of 105,000 like Volvo says it should be. [/align]Also Make sure you replace the tensioner and idler pulleys as well. 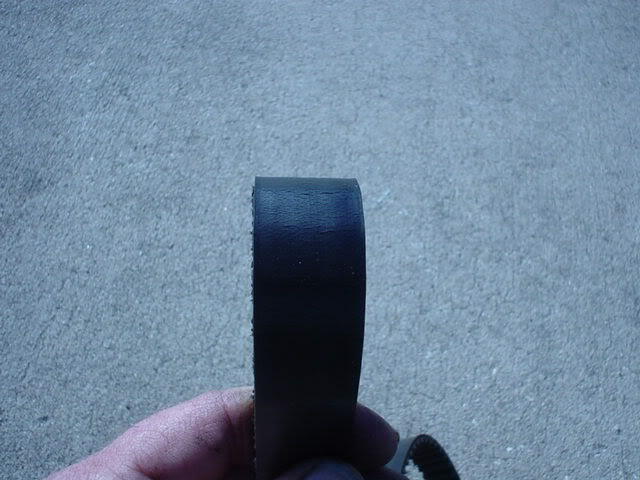 [/align]I have some pics of belts I have replaced at work on cars. [/align]I have the belts from a few of the different models the milage will vary between 70K and 80K. 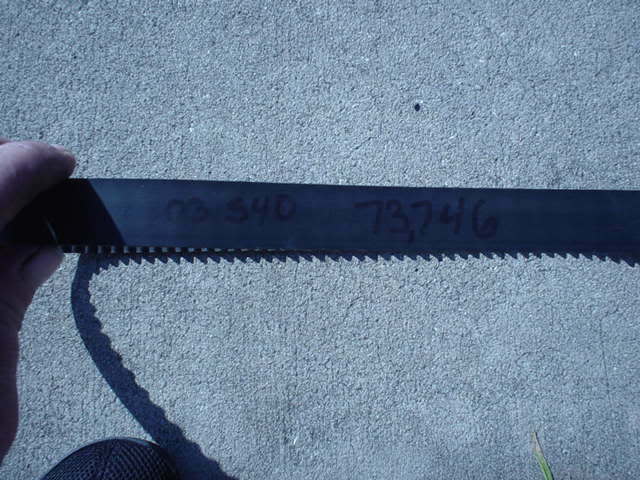 You will see how the belts crack at that milage. [/align]I would not trust the belts like that on my own car. That's why I am making this post so that everyone is informed about the belts and what can happen if they break. [/align]I know not everyone has the money always to get the job done. I know how it is I have 4 kids and very little money. But the point I am trying to make is that it is better to pay between $700.00 to $800.00 or so. 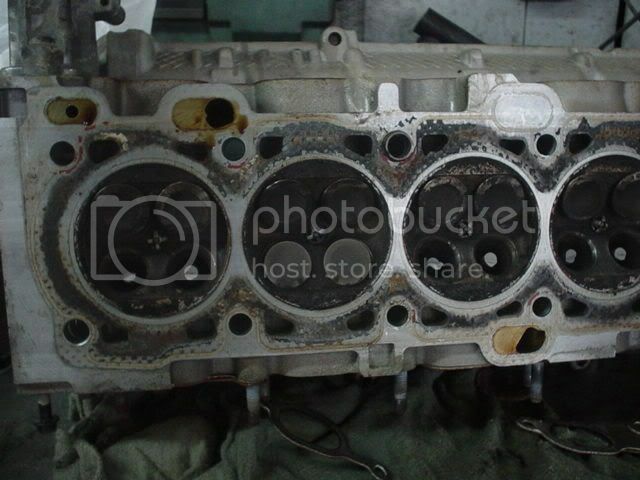 Rather than having to Junk the car or pay over $3000.00 to get the head rebuilt or replaced. Or maybe even more to have a new motor installed. [/align]I have my own theory on why they go bad faster on the 1999 and newer cars than on the older cars. [/align]I think it is because of how the timing covers are made. [/align]The older cars all the heat that gets to the timing belt only comes from the front of the motor. [/align]The 1999 and newer cars the timing cover are different because of having the VVT valve in the cam cover. That allows all the heat from the top of the motor to access the timing belt and add more heat to that area causing the belt to go bad faster. 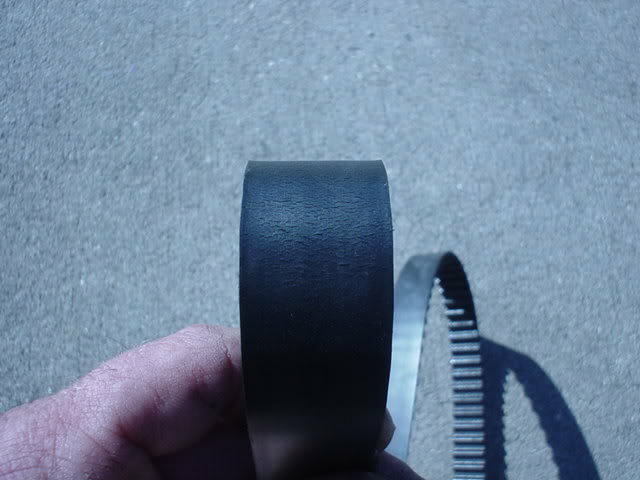 [/align]On the 1993 to 1998 5 cylinders and 1994 to 1998 6 cylinders the timing belts could last a lot long but I wouldn't trust them either. [/align]Now onto the pictures the first batch will be the timing belt pictures with the model,year and milage that they were changed. 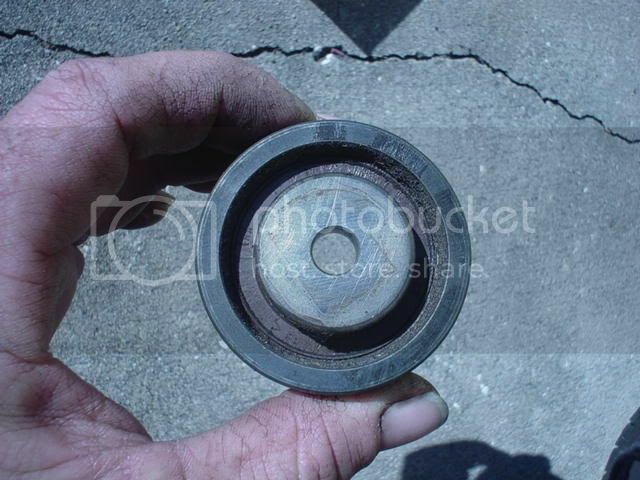 [/align]Then the last batch of pictures will be an idler and tensioner pulley from a S80. (Not as bad as I wanted for an example picture but will work. 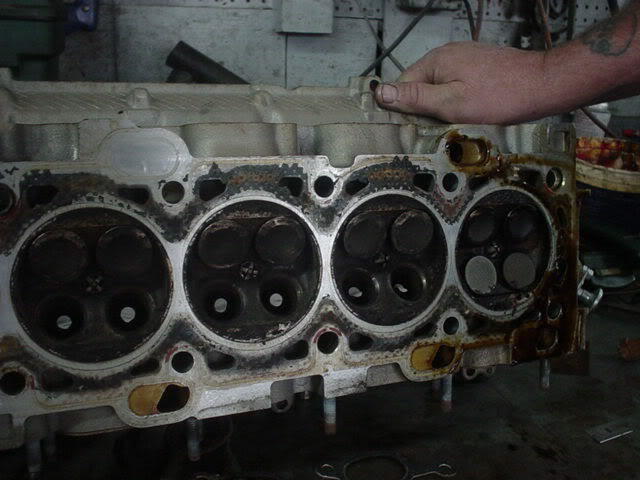 [/align]Then finally a picture of an engine that had the belt break. [/align]This way everyone has an Idea of the entire situation. [/align]Then you can make your own decisions from here. 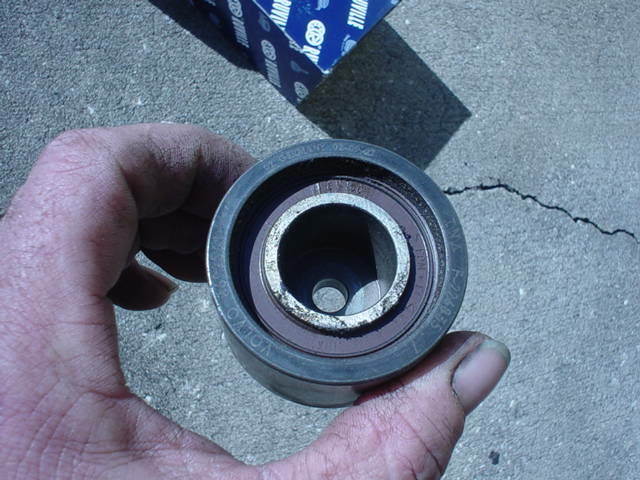 [/align]Here is a tensioner if you look closely in one spot you will see where grease started coming out of the bearing. 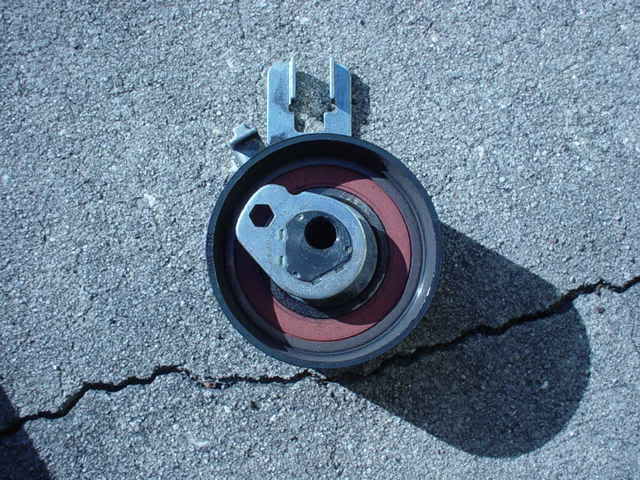 [/align]Here is the idler same here both sides were spinning grease out. 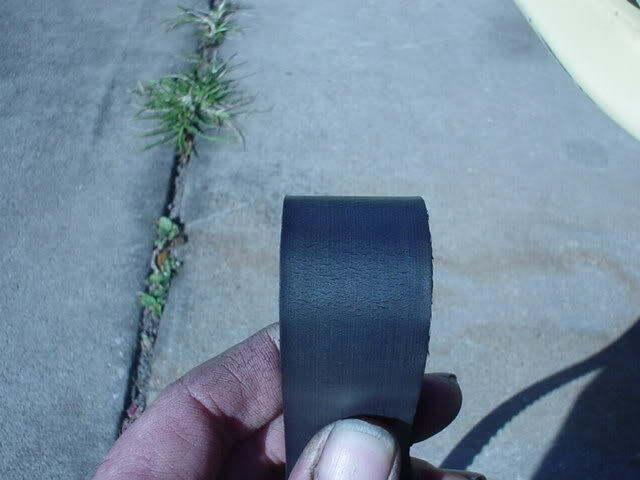 [/align]If your serpentine belt looks like this replace it I have seen them break as well and get sucked into the engine and break the timing belt as well. [/align]So there is my post the pics might not be the best but should help some. Sorry here is the pics of the head and block. Hi there. I've been deployed for a couple of years and my ex drove the crap out of the XC-- with minimal servicing. I took it into the dealer the other month and they could find no faults-- but the issues that I was having and still am having is an irregular idle--meaning at a stop I notice the vehicle will rev up to 1500 RPMs and then back down, sometimes as I'm rolling into a stop it will rev up and jump forward too-- none of this is constant but happens often enough that it does not feel right. Is this related to the timing? Like I said they hooked it up to the computer but no codes were thrown. Thanks for any advice. 2001. As I was reading some of the other threads out there the description that fits the problem best seems to be "surging". Unrelated, but "Help!" I just registered on this site, but seem to be too incompetent to find out where to ask a question. The only such link seems to be to "Just Answer", which takes me to another site to register. My question is about ignition cylinders, but I don't want to clutter this thread with that. Please advise. Thanks. I think they fixed this problem in the new 2009 XC70. I saw a video a few weeks on this site(http://www.topspeed.com) it looks promising. I love the exterior look of the last gen but has way to many technical problems the new 2009 will hopefully turn out better. yeah,,i certainly hope so..by the way,,i havent seen the 2009 model,,i better search for it..ive heard that its got lots of nice lowering springs options..
Last edited by kurtdaniel; 12-14-2009 at 08:09 PM. Did you happen to know if your A/C is on when the engine surges? I have the same problem but only when the A/C is on and the compressor is cycling. On most cars there is a compensator that kick th idel up when the A/C is on to make up for the increased load on the engine. I have not been able to get a satisfactory answer about this problem on my XC 70 though I have been told it is normal which I find hard to believe. Most of the time I just turn off the A/C if I am sitting in traffic or at a long light. Any body have any ideas? Just did my timing belt at 101,000. Just bought a 2004 XC70 a few days ago and I have no idea if it was ever done, no stickers or anything like that. The tensioner was definitely gone though. I didn't have to do anything to pull the old belt off. 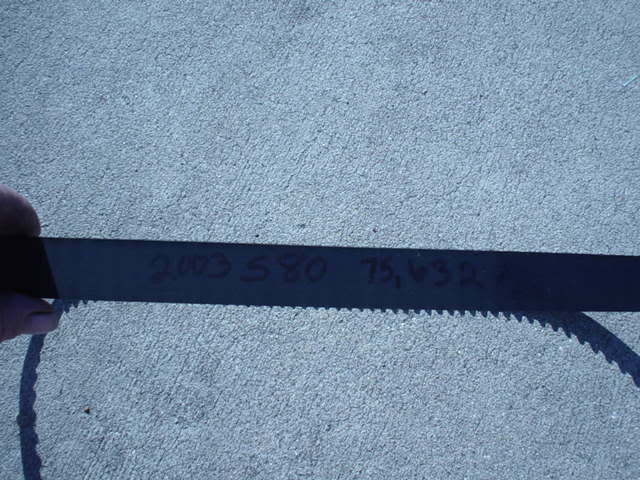 It was that loose. My 2001 V70CX has symptoms that appeared like faulty alternator - RPM drop when idling as illustrated by minimal headlight flickering. Under load or at speed, - no prob. My engine guy is not a Volvo guru but the code he got was faulty Electronic Throttle Module. Hope this tip leads to a solution.